I have four boys, so of course I know about Fortnite. My kids love it, me on the other hand…. not so much. But I do love all the fun dancing that it has it in. I love that my kids know some of the old school dance moves with it. My boys especially love to floss, seriously they do it ALL THE TIME. In the kitchen, in the grocery store, all the time. 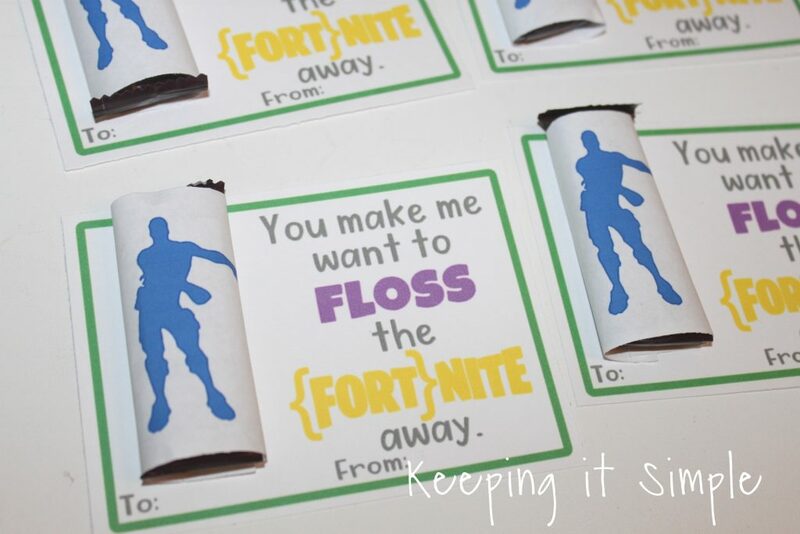 Since Valentine’s Day is only a week away, I decided that it would be fun to make some homemade Fortnite valentines. These are so easy to make, so easy that my 10 year old son is going to be doing most of the work. All you have to do is print it out, cut it out and then glue it together. It doesn’t get much easier than that! 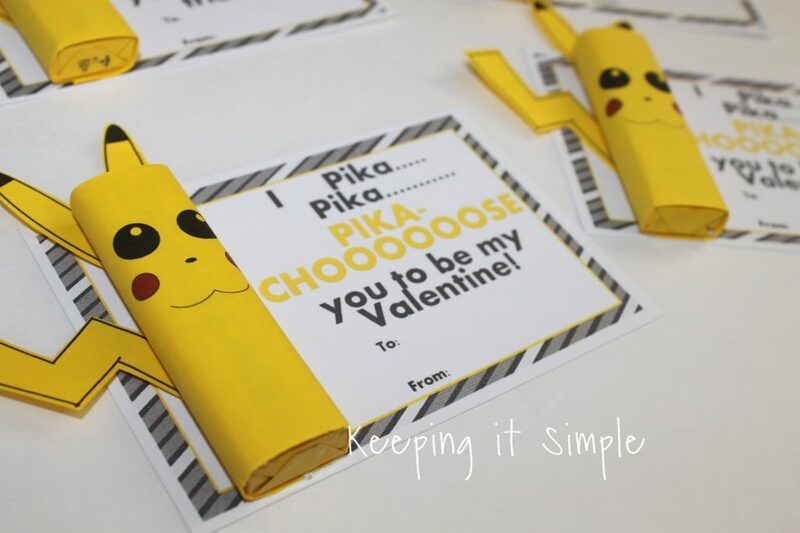 My boys can’t wait to give these out for Valentine’s Day. 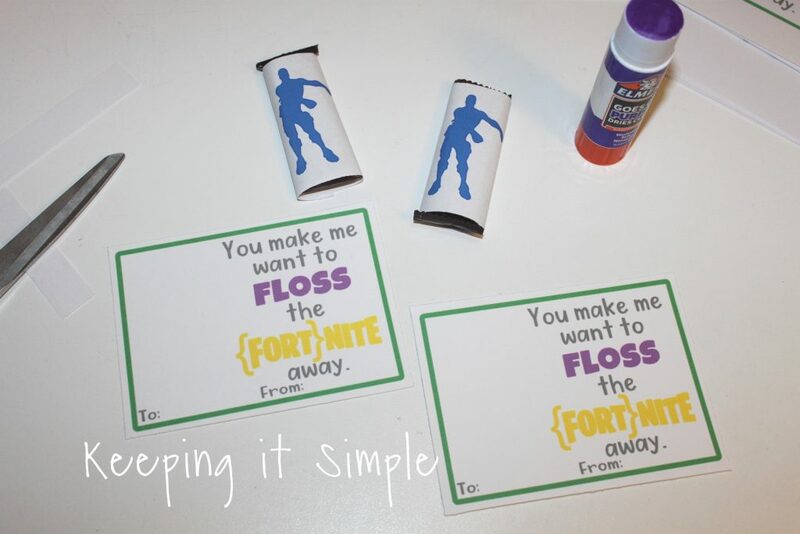 Here is a quick video to show you the process of how to make these fun homemade Fortnite valentines. 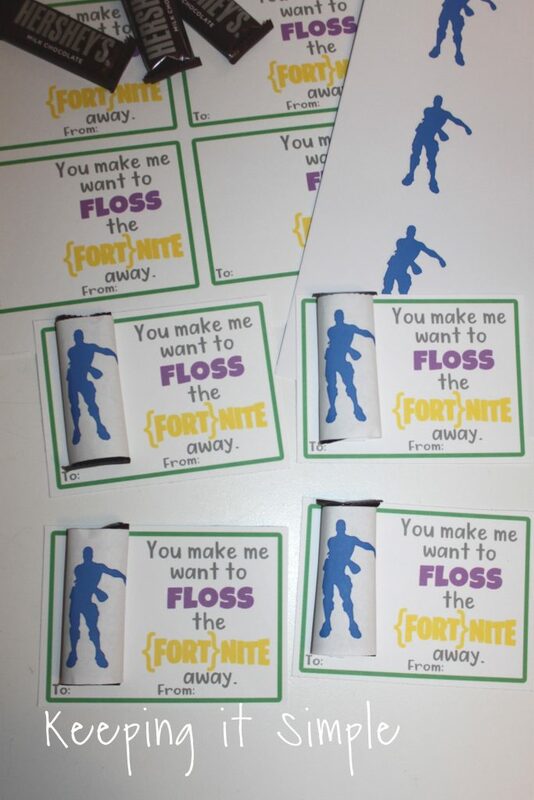 This is what I how I made the Fortnite valentines. I printed out the printable. I printed the saying on white cardstock and then flossing guy onto regular printer paper. For the candy I used regular Hershey’s candy bars but you can use whatever you like. I choose the plain because they are gluten free and peanut free, which I know some of his classmates have those allergies. Using a paper trimmer, I cut the flossing guy out. 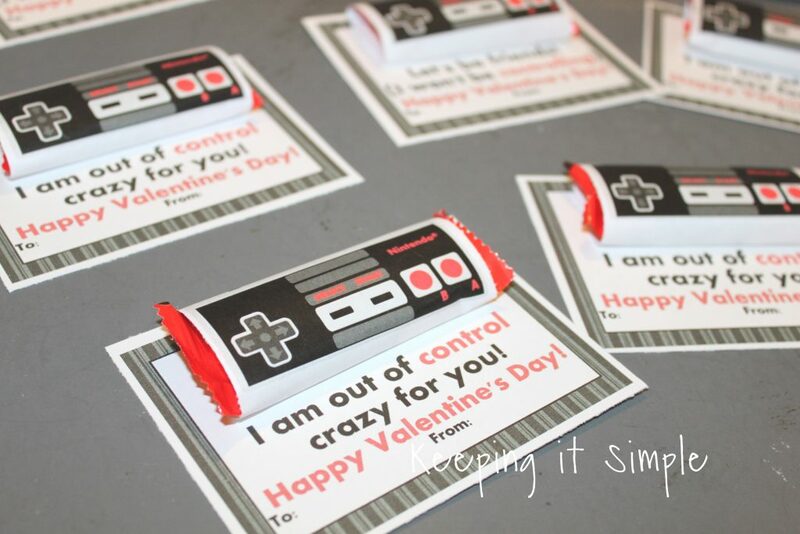 I cut them to be 3 inches high and about 4 1/4″ wide (you will cut off more of it once you wrap it around the candy bar). I wrapped it around the candy bar and taped it onto the candy. 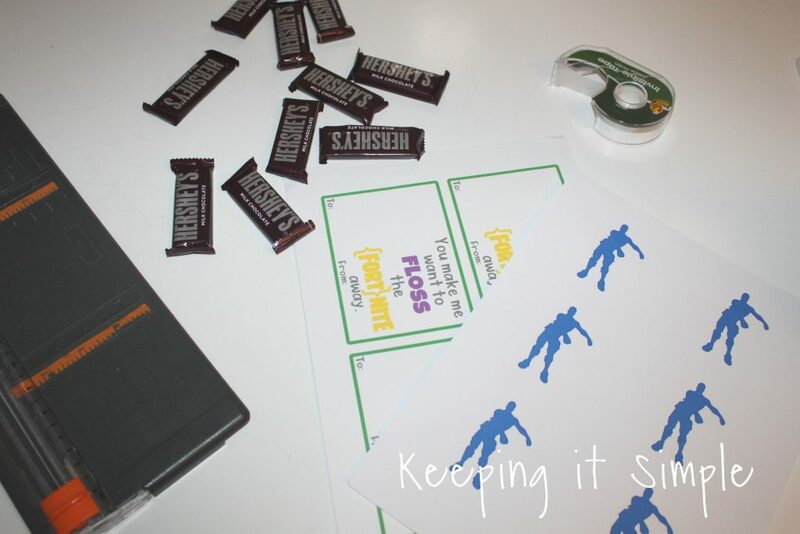 I then cut out the cards that the candy bars will go onto. I used the paper trimmer but you can also use scissors. 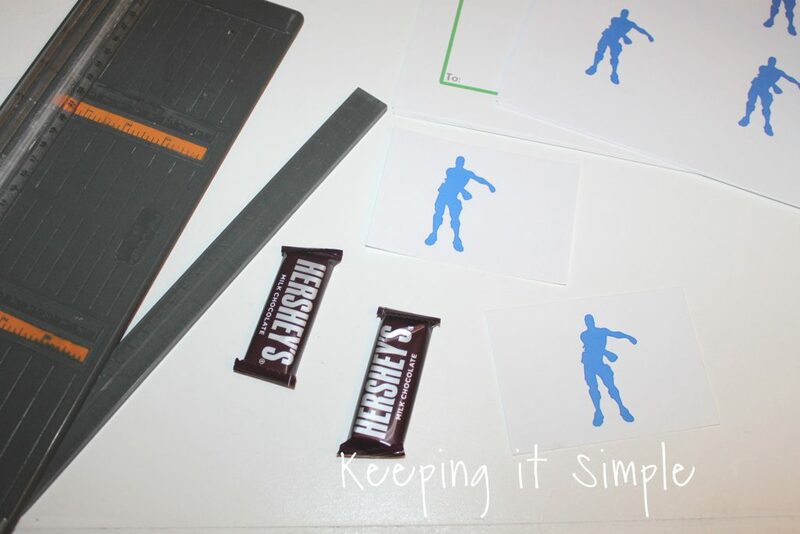 Then I glued the candy bar onto the card. And that’s it! Seriously, so easy! It only takes a couple minutes to make a few of them! I love how they turned out and my son is so excited about them. 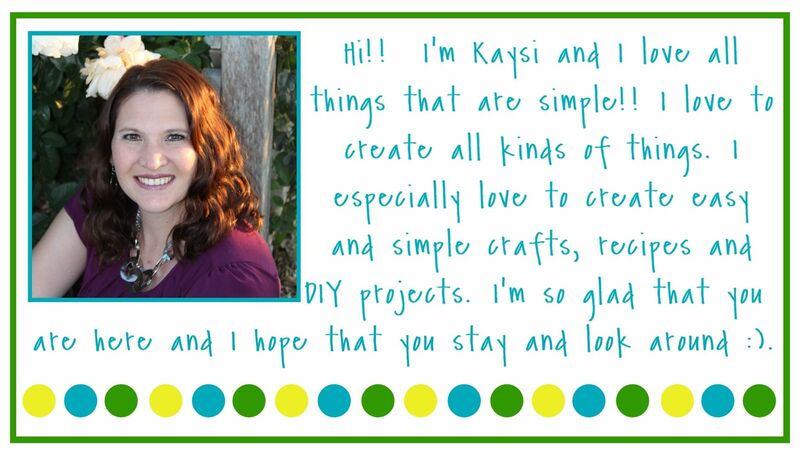 You can get the printable here, so you can make your own!